Nipper State Championships is a wonderful experience for all Semaphore families. Its time to pull together and support all our competitors irrespective of if you’re competing or not. Day 2 is all about the individual events including the completion of Flags, Sprints and Iron. Day 3 is all about Teams. Get behind all our competitors that qualified at Day 1 in Flags, Sprints, Iron Person etc, and don’t for get our March Past Teams, All Age Sprint Teams and All Age Taplin Team. 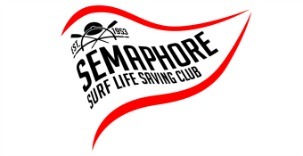 Cheer our 2018/19 Surf Life Saving SA Nippers of the Year at the presentations first thing Sunday followed by the Male and Female All Age Relay. It would be fantastic to see all our Age Groups sitting together cheering on both the Nippers of the Year and All Age Relay as one fantastic team.